A Headwater walking holiday is an unforgettable experience from which you’ll make lasting memories. You have the choice between independent exploring, on a self-guided trip, and following the lead of an experienced guide with a small group on a guided walking holiday. Travel across the UK, Europe, the Mediterranean and Bermuda – from woodland rambles along leafy lanes to challenging mountain, gorge and ridge hikes, each of our walking holidays offer interest-packed insights into some of the most beautiful and unspoilt corners of the world. On a self-guided walking holiday you have the flexibility to set off when you're ready, stop when and where you like, and visit the places that interest you the most. We provide comprehensive route directions and detailed maps, and on your “stay put” days we suggest pretty day walks and suggest details of local attractions so you can make the most of your trip. On hotel-to-hotel walking holidays our local representatives transport your bags for you from one hotel to the next. On a guided walking holiday you have the opportunity to mingle with other walkers – perfect if you’re travelling alone or as a couple – and the trips are full of camaraderie. Your experienced local guide will lead the way and share their knowledge with you en route, introducing you to the hidden delights of your destination. Each group is typically made up of 4 to 16 people, allowing for a more personalised and better quality of service from your guide. To help you choose a holiday that best suits your level of fitness all our walking holidays are graded, focusing primarily on distance and ascent. Look out for the activity level in the search panel and on the individual holiday pages. On some holidays there are a choice of routes and, for these, two ratings will be shown (you’re free to choose between routes on a day-by-day basis). 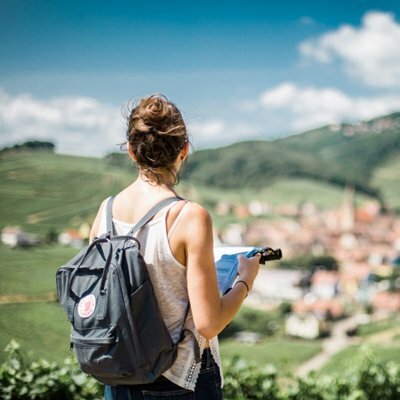 We understand that not everyone is a world-class map reader so, on all our walking holidays, our routes provide step-by-step instructions – pointing out landmarks, distances and even highlighting any confusing turnings – so you can be sure of a relaxed journey. We also include detours to places of interest, shortcuts to avoid hills, and places to stop off for lunch too! On some of our walking holidays we offer GPS route navigation devices too, for that extra peace of mind. We offer both independent and group walking holidays. 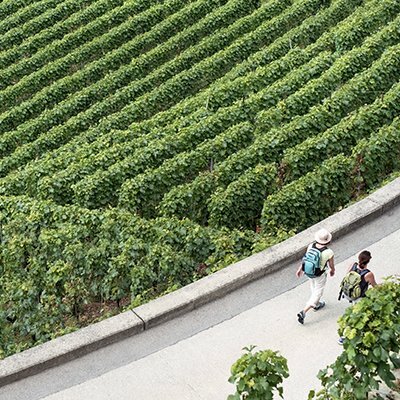 On self-guided walks you have the flexibility to explore at your own pace and discover the heart of your chosen region. 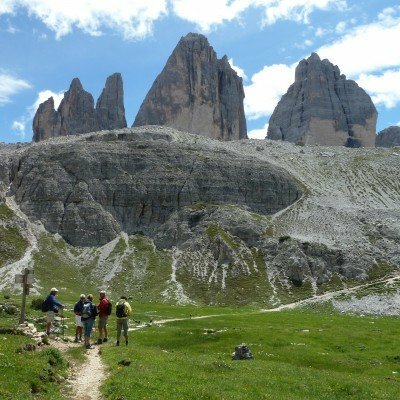 On our guided walking holidays you will walk in a group (typically 4-16 people) along with a resident Headwater rep or one of our expert local guides. They will tailor the walks to suit the ability and interests of the group. No - normally just a day pack. On hotel-to-hotel holidays we will move all your luggage for you. Simply pack it away in the morning before you leave and it will be waiting for you on arrival at your next hotel. All you need to carry are your route notes, maps, and any food and drink you'll need during the day. For more strenuous holidays you should also take any necessary clothing too. On our independent hotel-to-hotel holidays your route will take you from one hotel to the next. Our detailed route notes and maps (all included in the price) will ensure you don’t end up lost whilst still giving you the opportunity for some additional exploring. On our independent single-centre holidays we provide maps and walking suggestions - it's up to you how often you walk, and where you explore. On guided walking holidays there will be a different trip each day - tailored to suit the ability and interests of the group, and the local weather conditions. All Headwater independent walks are researched by Headwater staff, in collaboration with the local authorities. Our routes are carefully selected to give you a real insight into your chosen destination, whether it's quaint little villages, spectacular panoramas, or must-see hotspots. All this information is included in the detailed route notes that you'll receive in your pre-holiday documents. Why not download a sample copy to see? All our holidays are graded so you can choose one that best suits your abilities. 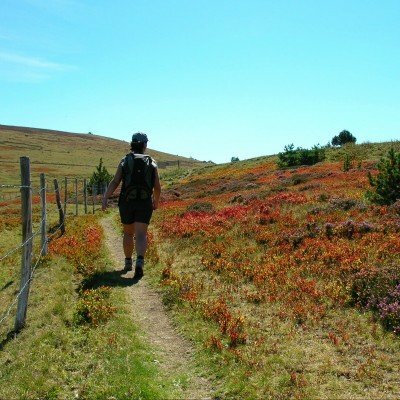 Level 1 walks are fine for even the most occasional walkers, as there is no scrambling or dizzy heights and the longest day is around 4-6 hours. Level 2 walks are better suited to those who are used to walking all day - although you don't need to be especially fit or have a head for heights (unless specified on the holiday page). The longest day is typically 5-7 hours, with ascents up to 700m and some occasional scrambling. Level 3 walks are suitable for the fairly regular walker. The longest day is 6-8 hours and may include ascents up to 1000m, so you'll need a reasonably good head for heights. Some scrambling (but not rock-climbing) may be involved. These holidays are not suitable for children under 12. To help you choose a holiday that best suits your level of fitness, all our walking holidays are graded. On the individual holiday pages (and in our brochure) you'll see that we've marked each tour from level 1 to level 3 so that you know what level of activities to expect. You can also search for your required activity level in our holiday finder too. Our level 1 rating follows gentle routes and are fine for even the most occasional walker, and there's no scrambling or dizzy heights. The longest day is typically 4-6 hours, with easy ascents up to 300m (1000 feet). Our level 2 walks follow slightly more challenging routes, these holidays are best suited to someone who's used to walking all day - but you don't need to be specially fit or to have a head for heights (unless specified on the product page). The longest day is typically 5-6 hours, ascents up to 700m (2400 feet) and, perhaps, some occasional scrambling. For our level 3 tours you need to be a fairly regular walker, with a reasonably good head for heights. The longest day will be around 6-8 hours and can including up to 1000m (3300 feet) ascent. The routes may also include some scrambling (but not rock-climbing). Due to the nature of the walks, these holidays are not suitable for children under 12. On independent holidays we often provide alternative routes in our comprehensive notes booklets so that you can take in additional features along the way. If you find any walk particularly difficult our reps are always on hand to assist you. 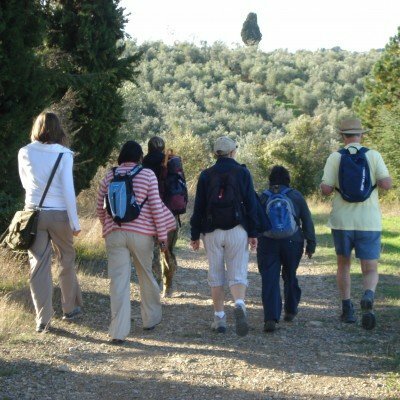 On guided holidays our expert group leaders will help everyone to get the best from each days walking without over-exerting the slower members of the group. Not at all, the most important thing is that you pack appropriately for your destination, whether that means lots of warm layers, or suntan lotion and a hat! It is also essential that you have comfortable walking boots. We always recommend walking boots over shoes as they offer your ankles much more support and are stouter. So if you're going to be making one investment, make it some good footwear (but remember to wear it in before travelling! ).Some people like to walk with pedometers, a compass or GPS but these are not essential as our route notes (which are sent out approximately one month before your departure) are so detailed that even those not proficient at map reading can follow these alone to get from A to B. Many people take younger children on Level 1 independent walking holidays and, of course, very young children can be carried in papooses. We can also carry passengers in our bag-moving vehicle, if necessary. If you have teenage children who enjoy an active lifestyle then check our suggested family walking holidays.